Ever since WhatsApp, a massively popular messaging app was acquired by Facebook, many of its users have started looking for alternatives to the service. Facebook, which itself, doesn't have a good track record when it comes to privacy, is the only reason users are on the lookout for good replacements to the service. The landmark acquisition deal that happened several months ago shocked many people, especially those who used WhatsApp as a regular chatting tool. As part of the deal, Facebook offered WhatsApp a whopping $4 billion in cash and $12 billion worth of shares. Starting 2014 with a big bang, the deal is one of the biggest deals that have ever happened in the tech industry. Biggies like Google and Microsoft were keen on buying WhatsApp but finally Facebook managed to woo the emergent startup and make history. WhatsApp has over 450 million monthly users, 72% of whom use the app everyday. After the deal, many developers started coming up with more secure alternatives to WhatsApp fearing privacy concerns. From that need, some fabulous apps have evolved. We have listed here some of the best apps to help you choose a better, more secure alternative to WhatsApp. 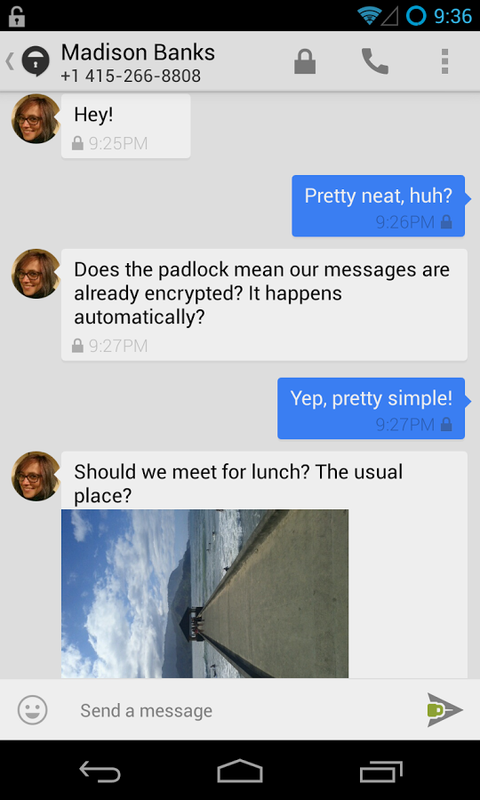 TextSecure is a free app that puts privacy first. With an advanced end-to-end encryption protocol, the application ensures that your every message is sent securely without any government snooping. What's more, TextSecure is open-source thus making easy for you to access the code just to make sure about your privacy. Security aside, TextSecure comes with all the basic features you need from a text-messaging app along with group messaging. Its UI is simple, easy to use, and faintly reminiscent of WhatsApp. Threema is an app whose popularity soared the moment WhatsApp was acquired by Facebook. With true end-to-end encryption, Threema is designed in a way that only the recipient reads your messages. Apart from putting focus on privacy, this app also excels in providing features that many competing messaging apps provide. Features like contact sync, group chat, media sharing (photos, videos, etc. ), and location sharing make it a solid alternative to many apps that lack the security feature. 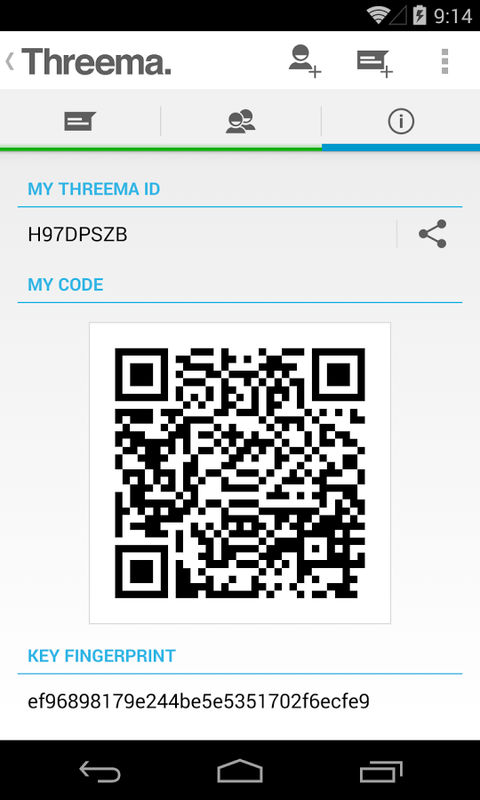 Threema also offers ID scans (like BBM pins) so that you can add people you meet in person. Though not free, this app is a perfect choice if you are looking for a good all-round messaging app. If you are having trouble saying goodbye to WhatsApp, Telegram is your best bet. With key focus on security, Telegram Messenger claims to be the fastest messaging app on the market. 100% free of ads, this one offers some interesting features like cloud storage, ability to function on the weakest mobile connection, and large group chats with up to 200 members. 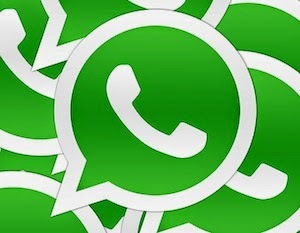 The app looks and feels pretty much like WhatsApp, thus making it a great app to migrate to. If you want to send private, encrypted, anonymous messages legally, Wickr is the app you are looking for. With exclusive focus on private communications, this service puts military-grade encryption (AES256, ECDH521, RSA4096, and TLS) on your chats. And yes, the keys stay with you. Designed to be cross platform, Wickr doesn't take any of your personal information. It is easy to set up and use and yes, it is completely free. Once installed, you can start using the service right away. It doesn't collect any of your private data and can also help you ensure that your messages leave no trace whatsoever. If, in an unfortunate situation, you feel that you are being spied on, Wickr can be your best bet. If you are looking for a web-based application that helps you send messages, crypto.cat is a great choice. 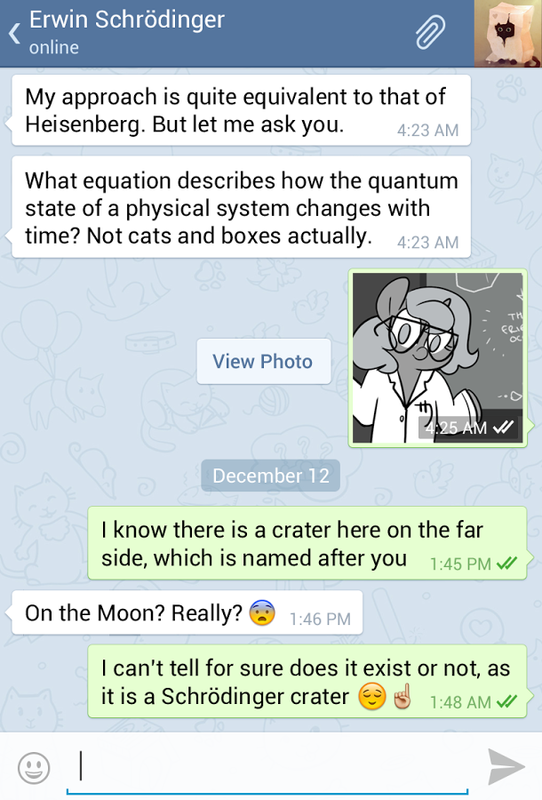 With plugins for all major browsers and an app for iPhone, crypto.cat allows you to have encrypted chats with your friends. The service is a no-fuss, secure chatting tool that can be used by anyone whether they are on mobile or not.